The room temperature sensor or measuring transducer THERMASGARD® FSTF is used for air temperature measurement, for setpoint adjustment, for presence signalling, or as a room control unit or operating panel with a temperature sensor, pushbutton, potentiometer and status indicators (LEDs) in residential rooms or workshops, office and business facilities. 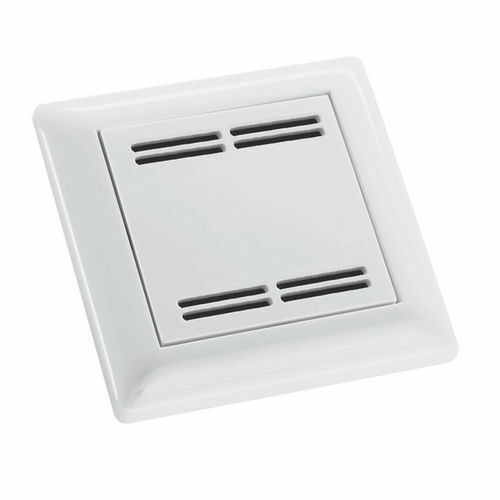 Installation as in-wall version in connection with high-quality panel switch programmes, preferably with products by Gira, Busch-Jaeger, (with in-wall adapters) Berker, Merten, Jung, Siemens. These room temperature sensors can be installed individually or in combination with light switches, socket outlets, or other in-wall devices.